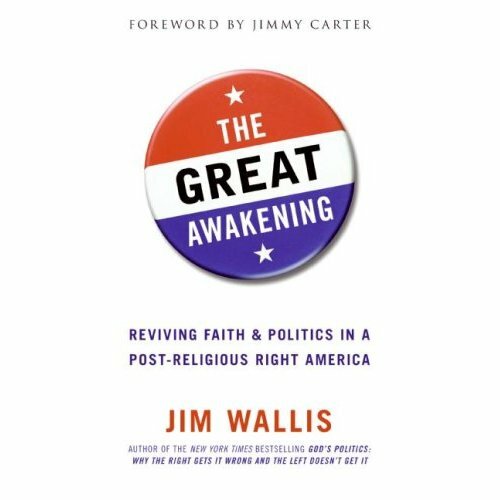 Yesterday I went downtown to the Free Library of Philadelphia to hear Jim Wallis speak about his new book called The Great Awakening: Reviving Faith & Politics in a Post-Religious Right America. To be honest, I actually wasn’t looking forward to it all that much. I didn’t know anything about Wallis or the books he’d written. But after hearing him, an evangelical Christian who teaches on faith and politics at Harvard on occasion, speak in politically neutral but passionately religious language about how it is up to us to bring revolution in the areas of poverty and other social justice issues, I was hooked. Wallis’s point? If it’s not good news to the poor (the oppressed, the forgotten), then it’s not the good news of Jesus Christ. I think evangelicals are finally grasping the significance of that statement. It seems like “those liberals” were onto something after all.